LIVING ON THE EDGE, paintings by modern realist Gregg Stone. Born in Los Angeles, Stone is a tenth generation Californian. His paintings depict everyday life in the Latino world, concentrating mainly on the border region of Northern Mexico and Southern California. 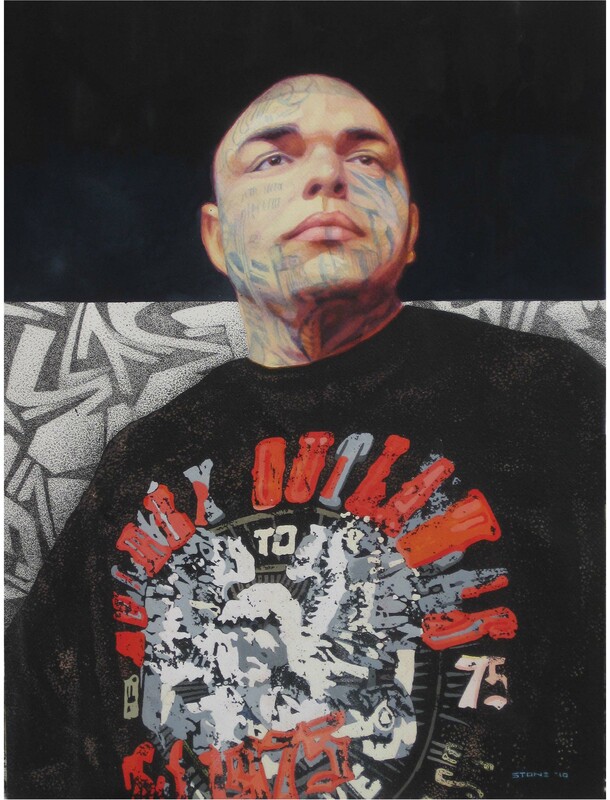 The works in this exhibition focus on inner city gang-inspired culture, done in a gritty and almost disturbing manner.